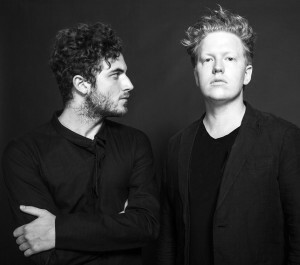 DARKSIDE is the collaborative duo of guitarist Dave Harrington and electronic producer Nicolas Jaar. The two musicians have vastly different backgrounds, but over the course of several years of touring together they found common ground: DARKSIDE. Dave and Nico use each other as mediums, working on primal instinct and summoning a hybrid of electronic music and psychedelic rock with the kind of artistic depth and breadth for which the term “progressive” was coined. On October 8th 2013, DARKSIDE will unveil their debut full length, Psychic, to the world via Jaar’s own Other People label under license to Matador (US/Europe), Modular (Australia) and Hostess (Japan). Nicolas Jaar came of age in New York City's underground minimal techno scene, releasing a string of unearthly dance singles that brought the then-18-year-old producer quick renown. Lushly textured and almost subversively slow, 2010's landmark Time for Us EP (Wolf + Lamb) and 2011's full-length Space Is Only Noise (Circus Company) dismantled and restructured dance music into heady new forms and garnered impressive reviews from both the electronic and rock press. He soon began weaving rock music into his own output, remixing acts like Grizzly Bear and Brian Eno and performing with a live band. Dave Harrington started out in New York City as a young bass player studying experimental jazz and sneaking into late-night jam sessions as a teenager. He eventually moved into composition and performance art, creating commissioned works for theater and film, directing a rendition of John Zorn's COBRA, and integrating lap steel, guitar, keyboard, and effects into his arsenal. After joining the Nicolas Jaar live band in 2011 on guitar and electronics, Harrington began experimenting with dance music, remixing and DJing. 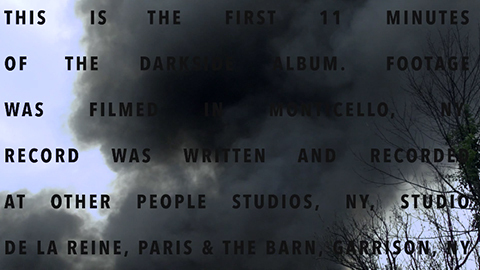 Eventually, Harrington and Jaar started experimenting in their studio, and DARKSIDE emerged. DARKSIDE's Psychic is a watershed moment for the duo, a quantum leap forward from their 3-song debut, 2011's DARKSIDE EP (Clown & Sunset). Psychic is a ritualistic song cycle, exploring rock’s cosmic outer edges through the immersive, body-moving framework of 21st-century house and techno. Album opener “Golden Arrow” is a microcosm of the album entire, charting an 11-minute journey from the desert to the stars: The song begins as a barren landscape where organs and static crackle on the horizon. But as "Golden Arrow" builds toward its climax, guitars poke pointillistic patterns in the sky and the blackness rips open, revealing a lumbering sub-bass groove that rises out of the fissure. It's mesmerizing and immediate, desperate and triumphant—and it sounds like nothing either has made before. DARKSIDE aren't dancefloor producers taking a stab at rock music; nor are they a rock band paying homage to their new favorite techno 12-inches. 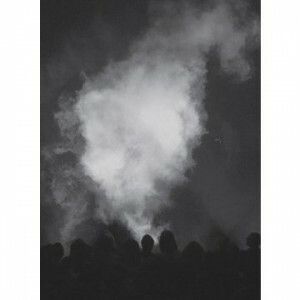 They're deep listeners and creators of both who see little need for distinction between their favorite sounds. 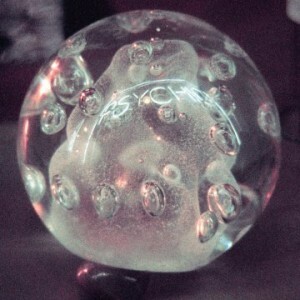 The result is Psychic, an album of uncompromising creative vision from two artists working at the peak of their powers.